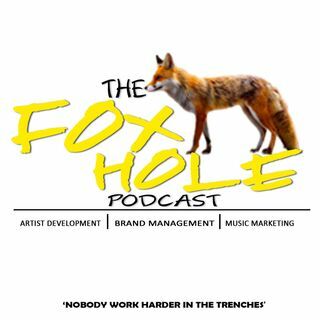 Welcome to the 5th episode of the Fox Hole Podcast…I am your host IKE ELLIS…. We learned a lot last episode….. we talked about this little concept called Marketing…..If you didn’t get a chance to listen…go check that out a s a p on www.se360fest.com…..
We said marketing is the planning and preparation and promotion is the execution on the plan…. Now are you a big fish or a little fish? Whatever market you are in there are big contenders and small ... See More contenders…small fries and big fries…but…..The small fish still have to eat…The small fish still have to roam around the ocean….your mentality have to understand this concept….if you don’t get anything else out of what im saying….understand this…. Your mentality and emotional stability will determine your grind and focus in this big ocean of contenders…. How you promote will be highly dependent on….how you understand this concept….the ocean is big enough for everybody to eat….but if you have no true understanding….you will lack what you need to succeed in the promotion game…..now what I am about to tell you is transferable to any product, party, business, song, album, whatever………. Even if you are a small fish…you still have certain strengths…. o What is your message? Do you have any sounds for them today….i think I find a little something…lets see what we have…. I think im going to play….